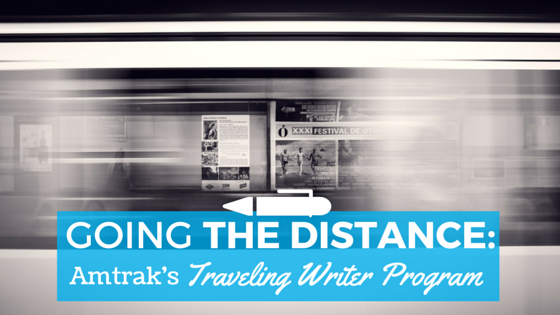 Amtrak is about to open its doors to a second year of its writer residency program. In just six days, #AmtrakResidency garnered thousands of mentions, and the company decided to initiate a writer program. Last year, Amtrak officials took three months to comb through applications, whittling the field down from 16,000 to just 24 writers. The program’s judges were invited to make the final selections on applications. The panel included Chee; Joe McHugh, Amtrak vice president of government affairs; Samuel Nicholson, editor with Random House and The Modern Library; and Amy Stolls, literature director with the National Endowment for the Arts. That was a year ago. By September, Amtrak planned to allow roughly two residents a month to write while riding its cross-country trains. Quinn said they’re going to rely heavily on resident feedback as the company moves into the second year of the program. Amtrak will look for details regarding trip length (how many days are too many/what’s just right), and whether it’s easier for Amtrak to build the itinerary or leave that up to the resident. So far, the program has involved free travel and meals. Some ambitious residents wanted to stay on the trains for a longer period of time than the program’s allotted two cross-country trains per leg. In those cases, residents paid for the additional travel. Others brought company and paid for their travel companions. Regardless, the #AmtrakResidency conversation remains active. Whatever topic you write about, PR Newswire for Journalists gives writers the ability to create customized newsfeeds of the type of content they want to be delivered on the day/time that works best for them. Sign up here.